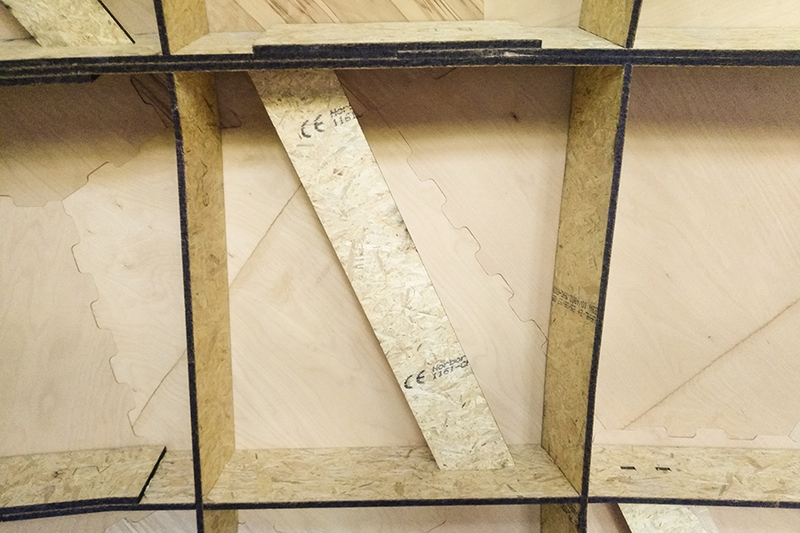 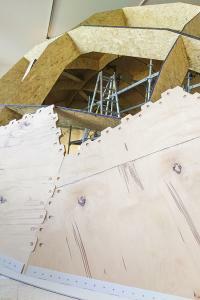 The Institute for Computational Design and Construction (ICD) and the Institute of Building Structures and Structural Design (ITKE) at the University of Stuttgart in collaboration with the Institute for Structural Mechanics (IBB) at the University of Stuttgart and the Invertebrate Paleontology and Paleoclimatology at the University of Tübingen have completed a thin segmented timber shell for the special exhibition „baubionik – biologie beflügelt architektur“. 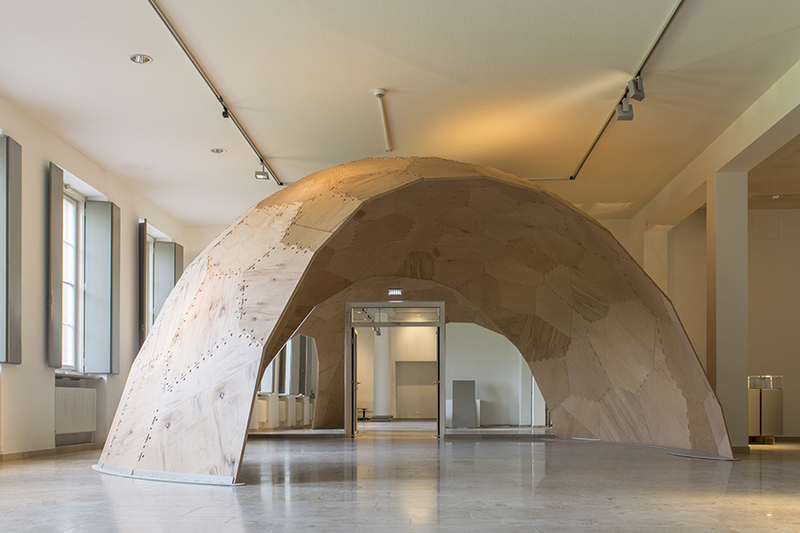 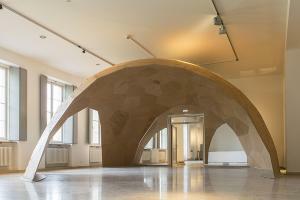 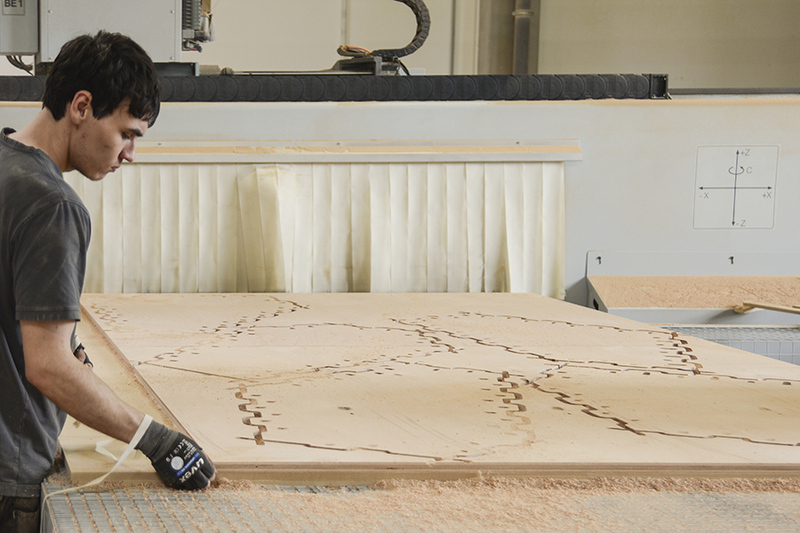 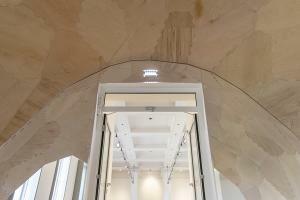 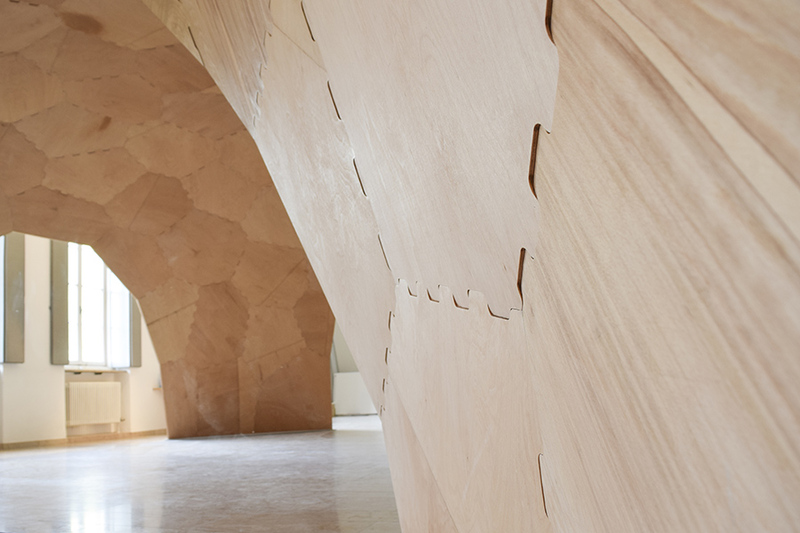 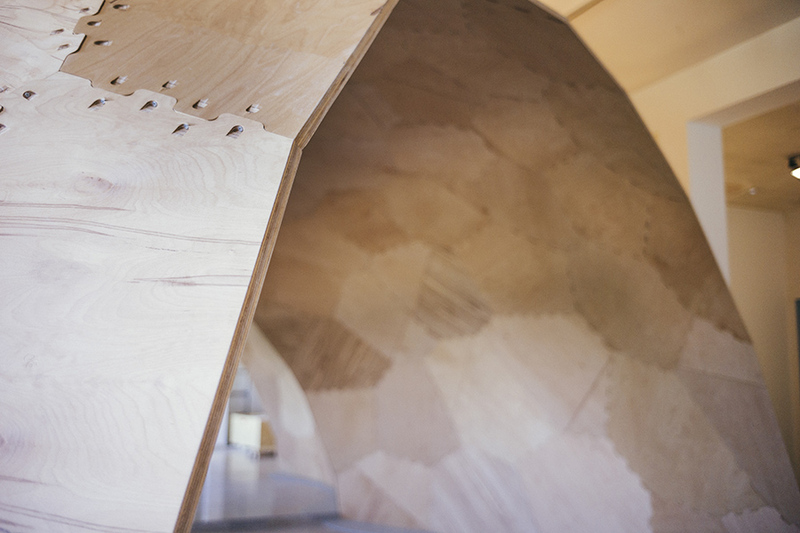 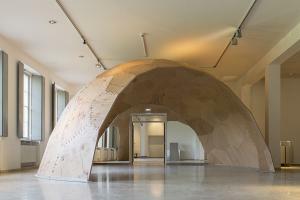 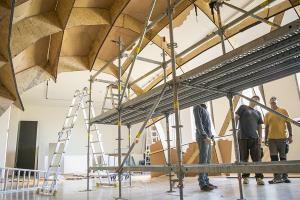 The segmented shell is made out of only two centimetre thick beech plywood plates spanning over approximately 7 meters. 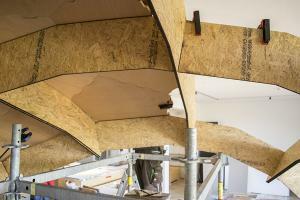 This was only possible by structurally optimizing shell geometry and plate arrangement, while considering fabrication constraints throughout the design process. 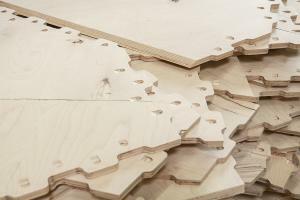 The arrangement of the plates reduces the forces in the joints and leads to an increased stiffness of the entire shell. 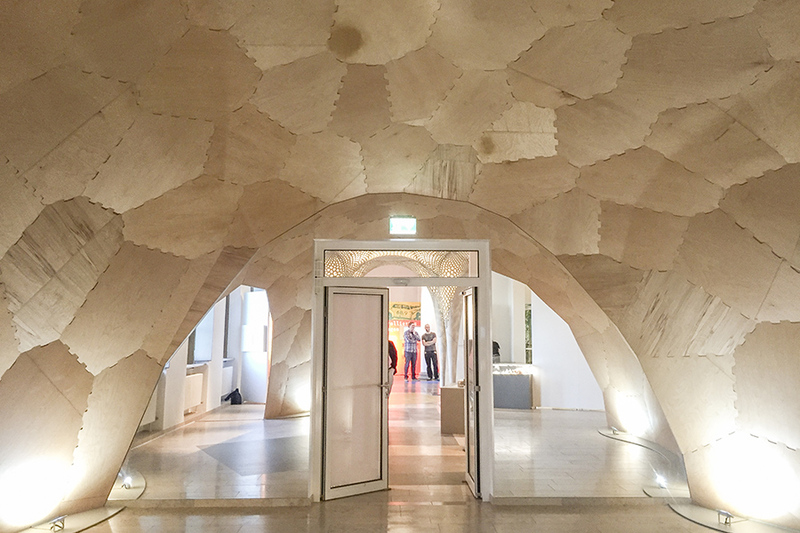 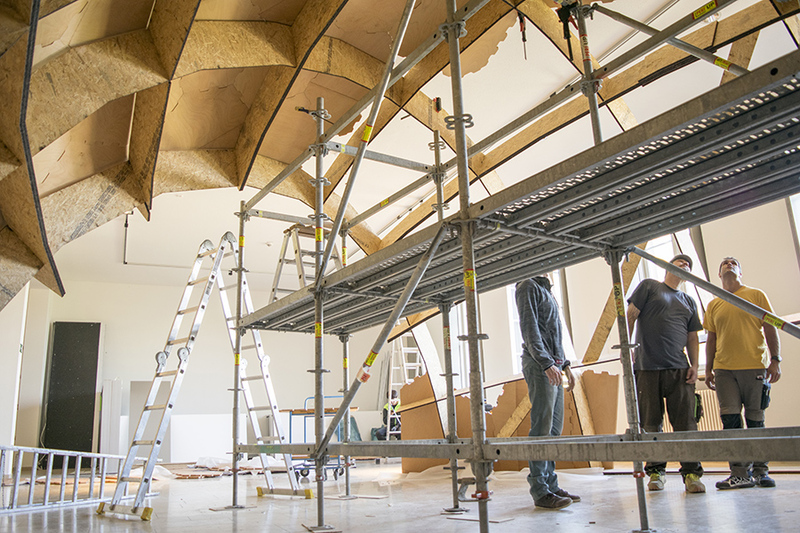 The collaborative work between architects, engineers and biologists from the Universities of Stuttgart and Tübingen is just one of many items exhibited at the “baubionik – biologie beflügelt architektur” exhibition at State Museum of Natural History Stuttgart, Schloss Rosenstein from 19.10.2017 to 06.05.2018. This research has been funded by the German Research Foundation (DFG) as part of the Transregional Research Centre (SFB/Transregio) 141 ‘Biological Design and Integrative Structures’ / project A07. 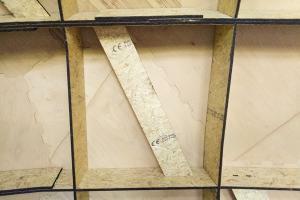 Thanks to Georg Ackermann GmbH and Peri GmbH for sponsoring and support during the project.